Traditional web threat protection typically only provides 54 – 90% malware protection – leaving a 10-46% hole for cybercriminals. How can you adequately protect your business from the growing risks associated with Web 2.0 and social media? 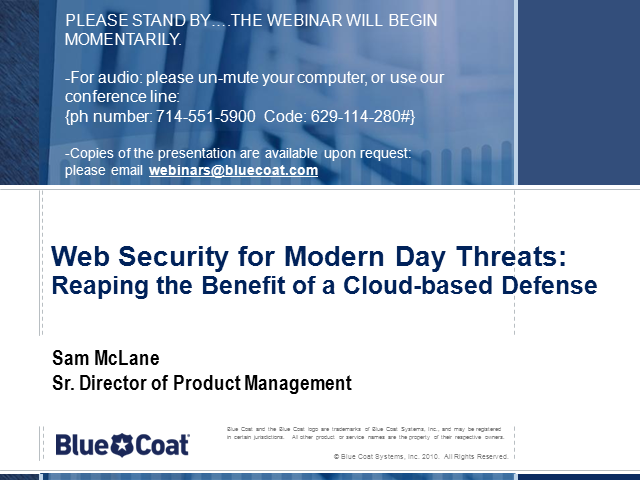 In this Webinar, you’ll learn how to maximize your network protection with a cloud-based real-time defense system. And, find out how Software-as-a-Service Web security can help you cost-effectively scale security for branch employees and remote workers.